Tim Prudhoe is a commercial litigator and trial advocate at Kobre & Kim, a global disputes and investigations firm. 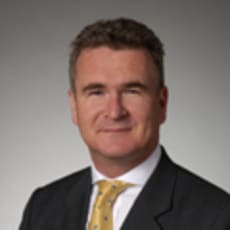 Mr Prudhoe represents companies and high-net-worth individuals based in the Caribbean and the United States in matters related to international judgment enforcement, asset recovery, fiduciary risk and insolvency. His work across offshore jurisdictions often encompasses their interaction with onshore financial centres and regulatory bodies in the United States as well as worldwide. An English barrister, he has substantial experience in practice in the British Virgin Islands. In addition to England, Mr Prudhoe is admitted to practise in Bermuda, Grenada, St Vincent and the Grenadines, the British Virgin Islands and the Turks and Caicos Islands. In 2009, he appeared at the Turks and Caicos Islands Commission of Inquiry for the then premier’s wife.